Lee Kuan Yew leaves a massive footprint in the Southeast Asia region, and beyond. As the founding father of modern Singapore and its first prime minister, Lee has been a constant presence in the life and times of Singapore ever since its coming out party from the British. No one can take that away from him. Lee passed away at 91. He was Singapore’s Prime Minister from 1959 to 1990. But he was around long enough to continue to wield influence over the future of the republic. Today, his son, Lee Hsien Loong, occupies the top most office in Singapore. In that time, Singapore has progress leaps and bounds on many fronts, including economy, education and infrastructure. Its a world class city just to the south of Johor Bahru, a global financial hub surrounded by the many islands of Indonesia. No one can take away that from him. Of course, there is the other side of Lee. He ruled with an iron fist, tolerating little dissent in the political space of the nation. Human rights and freedoms are areas that the nation need to work on further. In the end, though, the proof of the pudding is in the eating. Singapore is a nation nicely thriving into the future. Sikhs in the republic are a proud lot. Lee’s vision and policies have, partly, made this possible. 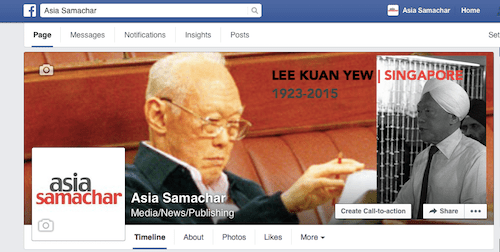 In the memory of Lee Kuan Yew, Asia Samachar honours him by running his photographs – one pretty current, another of his early years in turban – on our Facebook page.